Rising UFC middleweight contender Israel Adesanya will have a massive opportunity to further propel his name into superstardom when he takes on mixed martial arts (MMA) legend Anderson Silva at UFC 234 this February. Adesanya, who often draws comparisons to Silva and former UFC light heavyweight king Jon Jones, is coming off a big knockout win over veteran Derek Brunson back at UFC 230. It was a coming out party of sorts and a memorable finish that allowed “Last Stylebender” to lock down a fight opposite his hero. While Silva is still a competent contender, Adesanya has encountered some criticism for taking a fight against a 43-year-old legend who has competed just once in well over two years. Adesanya understands his current position, but wants to reassure fight fans that Silva is no Chuck Liddell, who recently came out of an eight-year retirement to get knocked out by Tito Ortiz in a massively disappointing trilogy fight. Silva, who hasn’t finished a fight since ending Stephan Bonnar via first-round TKO back at UFC 153 over six years ago, is widely considered one of the best fighters to ever do it. His performances of late haven’t been overly spectacular, but the Brazilian veteran still possesses enough skill to test almost any fighter in the middleweight top 10. All of that said, Adesanya would be stupid not to jump at the opportunity to fight one of the best of all time. Silva may have initially declined the bout, but a guaranteed title shot by UFC president Dana White was all “Spider” needed to ready himself for a battle with the 29-year-old Adesanya. If Adesanya is able to dominate Silva like he has dominated the majority of his opponents to date then there is no denying “Last Stylebender” his own shot at UFC gold. 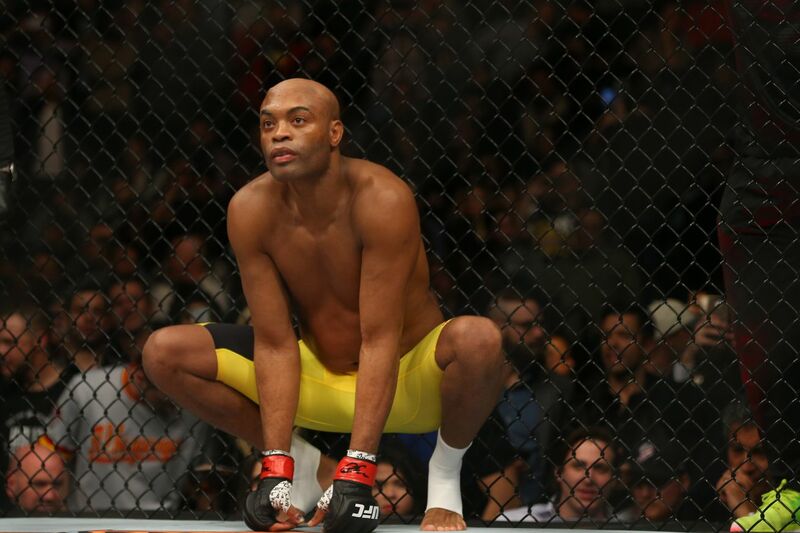 At the end of the day, not too many fighters have finished Silva inside of the cage. UFC 234 takes place on Feb. 9 live on pay-per-view (PPV) from inside Rod Laver Arena in Melbourne, Australia, and features a middleweight main event title fight between current champion Robert Whittaker and former Ultimate Fighter winner Kelvin Gastelum. 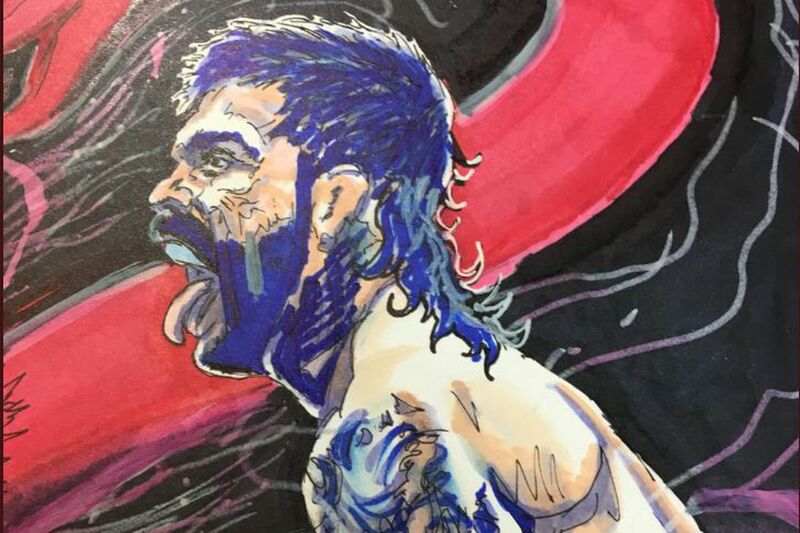 Stick with Mania for more UFC 234 fight card news. One Last Look At UFC 229’s Fight Card! Fight card no longer subject to change! With the weigh-ins complete (see staredown here), Ultimate Fighting Championship (UFC) Lightweight kingpin, Khabib Nurmagomedov, and former 145- and 155-pound “champ-champ,” Conor McGregor, are now officially set to compete later tonight (Sat., Oct. 6, 2018) inside T-Mobile Arena in Las Vegas, Nevada. 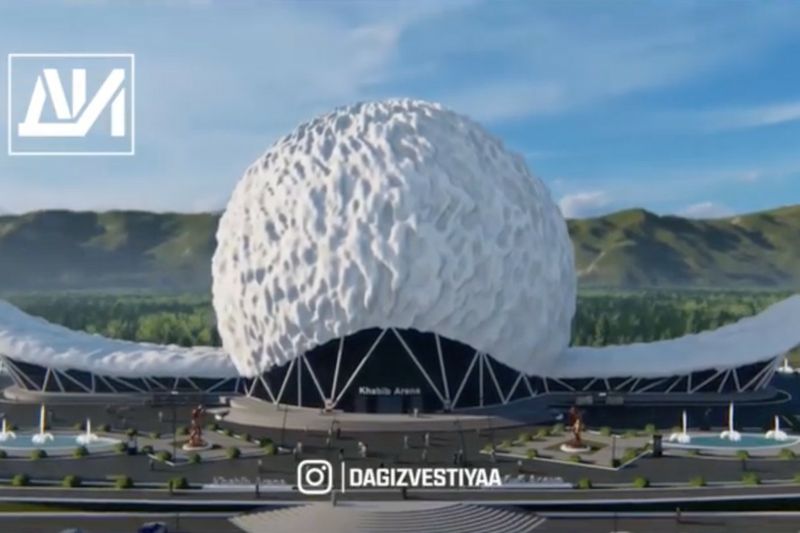 And it’s going to be absolutely bonkers. Indeed, there hasn’t been this much excitement around a UFC pay-per-view (PPV) event since, well, when McGregor locked horns with Nate Diaz for a second time at UFC 202 more than two years ago. That’s actually right around the same time that “Notorious” last stepped foot in the Octagon — he has not competed in mixed martial arts (MMA) since stopping Eddie Alvarez at UFC 205 in Nov. 2016 to win the promotion’s Lightweight title. It’s a belt — along with the Featherweight strap he claimed in Dec. 2015 — that he would never defend. That’s because McGregor was somehow able to finagle a “money” blockbuster boxing match against Floyd Mayweather, which the Irishman would lose via technical knockout in round 10. Nurmagomedov and McGregor are expected to step into the cage sometime before midnight later this evening. The bout, which will be contested at 155 pounds, is scheduled for five, three-minute rounds. And the longer the fight goes, the more it favors Nurmagomedov, who pushes a brutal pace that grinds his opponents into fleshy red pulps. McGregor, meanwhile, has only fought for 25 minutes once (Diaz rematch), averaging just under five minutes in the cage throughout his 24-fight MMA career. Nevertheless, before Nurmagomedov and McGregor hook ‘em up, Fight Pass will kickoff the action online at 6:30 p.m. ET then FOX Sports 1 will pick up the broadcast at 8 p.m. ET before transitioning to pay-per-view (PPV) at 10 p.m. ET. There, UFC 229 will also feature a pivotal match between top-ranked Lightweight contenders, Tony Ferguson (No. 1) and Anthony Pettis (No. 8), with the winner likely competing against the winner of the main event. That’s not all, though … not by a long shot. Remember that MAmania.com will deliver LIVE round-by-round, blow-by-blow coverage of the entire UFC 229 fight card on fight night (click here), starting with the Fight Pass “Prelims” matches online, which are scheduled to begin at 6:30 p.m. ET, then the remaining undercard balance on FOX Sports 1 at 8 p.m. ET, before the PPV main card start time at 10 p.m. ET. For much more on UFC 229 click here. Video! Does It Look Like Khabib Is Ready For McGregor? 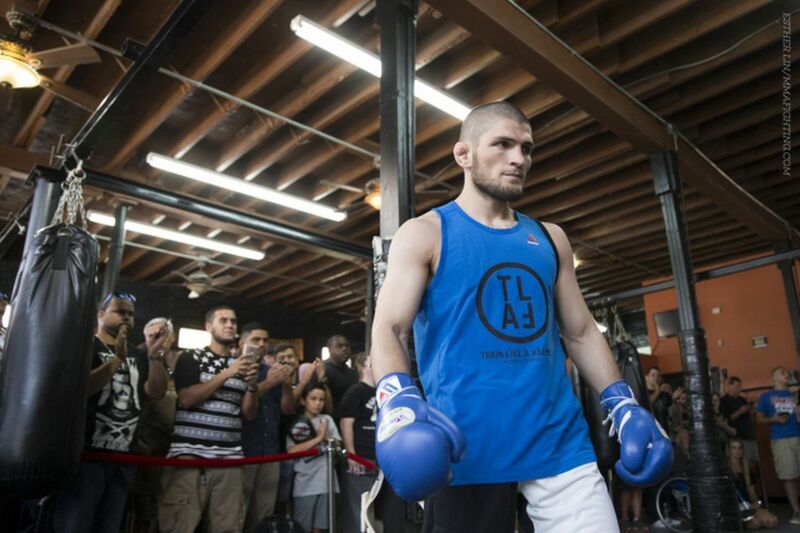 Despite having a massive advantage over Conor McGregor in the wrestling department, UFC lightweight champion Khabib Nurmagomedov is still going to have his hands full when the two stars meet next weekend at UFC 229. If Nurmagomedov is able to drag the brash Irishman to the canvas that means he had success getting past McGregor’s hands on the feet. It’s a daunting task considering McGregor is one of the very best strikers in mixed martial arts today, but Khabib’s 26-0 professional record suggests he’ll do whatever it takes to capture victory at UFC 229 and retain his 155-pound title. In preparation for his impending grudge match with “Notorious,” Khabib has released the first episode of his behind-the-scenes training camp at American Kickboxing Academy (shown above). UFC 229 will take place on Oct. 6 live on pay-per-view (PPV) from inside T-Mobile Arena in Las Vegas, Nevada. 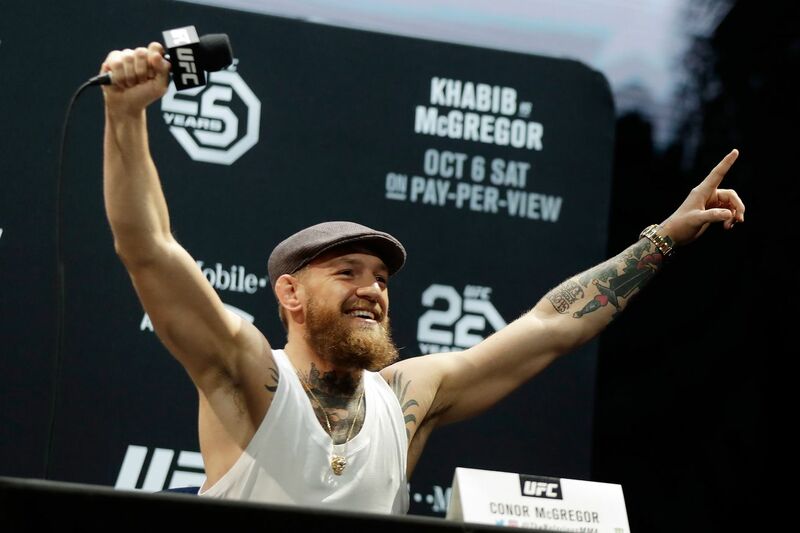 For more UFC 229: ‘McGregor vs. Khabib’ news click here. Look Out Western Europe, Bellator MMA Is Coming! It was a big day for Bellator MMA! To that end Bellator has signed 24 fighters from the United Kingdom and Ireland. Notable names include two-division BAMMA champ Terry Brazier, The Ultimate Fighter (TUF): “The Smashes” Lightweight winner Norman Parke, popular Irish lightweight Paul Redmond, undefeated SBG Ireland-trained product Kiefer Crosbie and TUF season 27-veteran Richie Smullen. 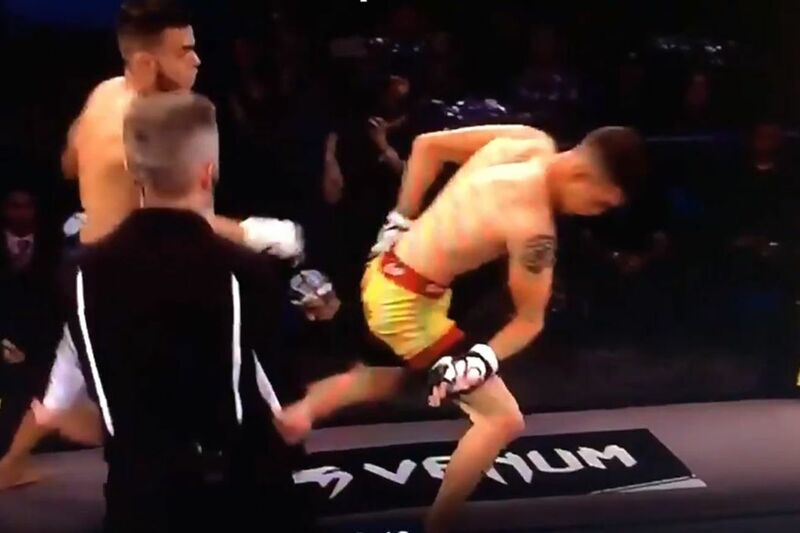 A fight between Jerome Rivera and Brandon Royval didn’t go as planned tonight at LFA 39, as Rivera found himself on the receiving end of an arm break so nasty, it makes Anderson Silva’s leg break look downright palatable by comparison. The arm ain’t supposed to bend that way. The arm break joins a litany of limbs losing structural integrity in the course of a mixed martial arts bout. While certainly one of the hazards of the job, getting a bone broken in the cage is never fun to watch- or to experience. Best of luck to Jerome in recovery. Tommy Toehold presents UFC Star Wars! Tony Ferguson has blue hair but his mood seems cheery. How odd. I’m guessing Alvarez didn’t sign? Today’s the deadline for the fight offer. If anyone sees Edward Alvarez please give him a pen to sign the contract. Weird things happen when Elias Theodorou serves as Ring Boy for a women’s MMA event. • •⛰ ☁️• Prehistoric Paradise • I never get tired of staring at the iridescent blues of the Jurassic Coast. I’ve only been out there once but I’ve been itching to return. Probably one of the most satisfying locations to scratch off my bucket list; made all the more magical by the low lying fog just in the distance. What are some locations on your bucket list ? Stay Adventurous Dear Friends!! Of everything that happened in Brooklyn, N.Y., over the past couple days, this probably made me the angriest, from the perspective of a fight fan. That’s saying a lot, as Conor McGregor threw a dolly through a bus window, got three fights canceled and himself arrested. But, UFC 223’s pay-per-view (PPV) main event was still slated to continue, a bout between featherweight champion Max Holloway and the undefeated Russian wrestler, Khabib Nurmagomedov. Max had a tough weight cut on short notice after interim champion Tony Ferguson blew out his knee in a freak accident, surely a result of powerful wizards somewhere casting a powerful hex over this event. 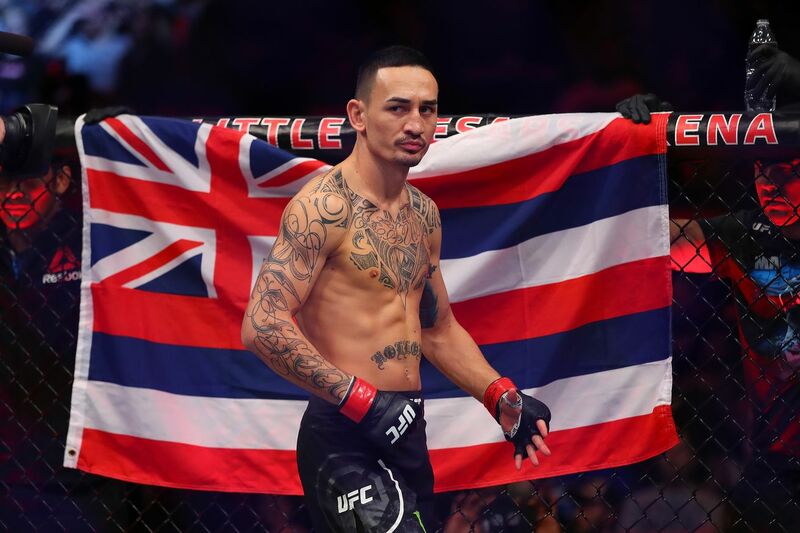 The hex would continue, as the New York State Athletic Commission (NYSAC) — being entirely incompetent — decided by looking at Max Holloway that he couldn’t finish his weight cut. They evidently didn’t have a medical doctor make the medical decision that “Blessed” was medically unfit to compete, as any commission that was even minimally intelligent would have done. Holloway himself wanted to continue the cut, which his nutritionist said had been going “great.” But, none of that mattered, because the NYSAC is stupid. New York Commission. You did my boy @BlessedMMA dirty. They wouldn’t allow Paul Felder, who was on championship weight, to compete for the title because he wasn’t “ranked”- perhaps not realizing that the UFC control the rankings anyway, and they are quite arbitrary. Al Iaquinta, who is now in the main event, will, technically, not be allowed to compete for the title either, as he weighed in at 155.2 pounds- even though they weighed his underwear later and determined that this would more than account for the .2 pound difference. Of course, the NYSAC has a long history of being both inept and corrupt. In the short time they have been regulating MMA, they have been piling up numerous complaints from fighters both in the UFC and Bellator. They suspended Kelvin Gastelum for six months for missing weight, and Yoel Romero for sixty days for jumping on the cage to celebrate his win over Chris Weidman. They are also the commission that was fooled by Daniel Cormier’s towel trick, and denied Rashad Evans a chance to compete at UFC 205. Before that, they had a long and sordid history when it came to regulating boxing, including the Arturo Gatti-Joey Gamache fiasco, which resulted in permanent brain damage for Gamache, as well as being at fault for a bout which resulted in paralysis for a Dagestani boxer. They also presided over the death of Beethavean Scottland in 2001, as well as numerous other examples of incompetence. The NYSAC is terrible. They tried to block my fight with Pettis, which was in Vegas, 2 days before the event. I fought there twice and have had at least 4 ridiculous issues with them. UFC 223 was just the latest victim. Does Al Iaquinta have the touch of destiny on him? 11 years ago TOMORROW (04/07/07) Matt Serra shocked the MMA world when he knocked out Georges St-Pierre. 11 years later, Al Iaquinta, a disciple of Serra (and Ray Longo), attempts to pull off the impossible against Khabib Nurmagomedov. Tony Ferguson started this whole mess with his freak injury. Former UFC fighter Tyson Griffin tweeted at Jon Jones and Conor McGregor and quickly got roasted by Jonny Bones. USA have UFC gangsters in the Diaz. 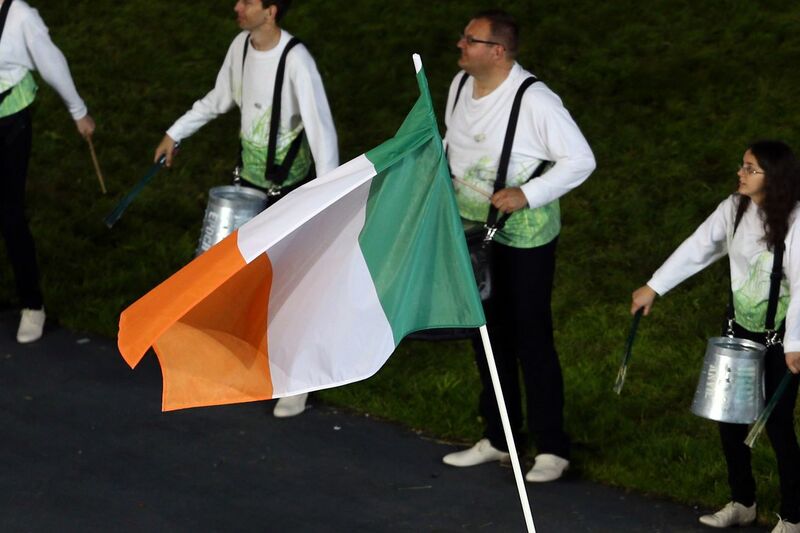 Ireland have a UFC gangster in Conor. Russia have a UFC gangster in Khabib. Now here’s a group you don’t want to mess with. But why is Ilir Latifi chilling in the corner?? Oh yes, the worst news of the weekend. I’m in Brooklyn and on weight. I’ll fight @TeamKhabib!